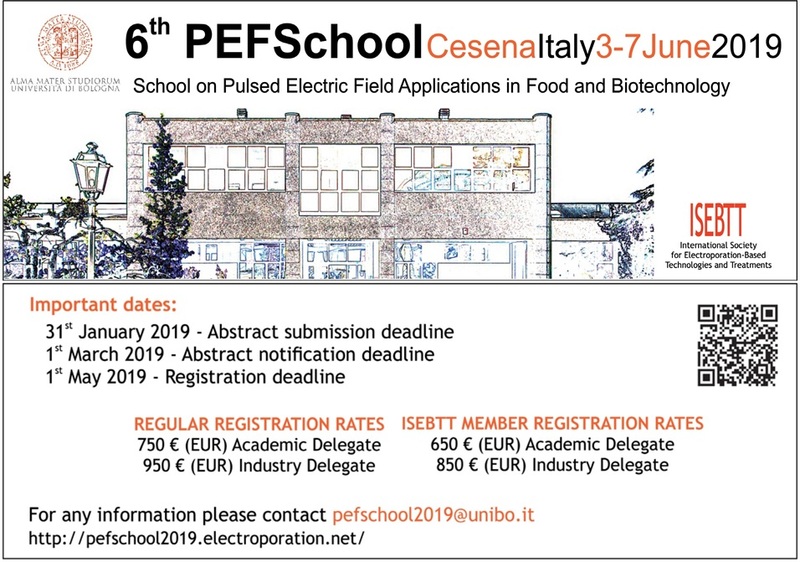 Join us for the 6th PEF School (School on Pulsed Electric Field Applications in Food and Biotechnology), which will be held in Cesena, Italy, 3-7 June 2019. We kindly invite you to submit your abstract. Following the success of the first 5 Schools, the 6th PEF School will continue to bring together undergraduate students, PhD students, academic and industrial researchers to offer them an overview of the current knowledge and understanding of the basic principles involved in food processing and preservation by pulsed electric fields. Practical aspects of PEF in the food industry.